SHOULD I stay, or should I go now? It is the title of a chart-topping single by British punk band The Clash, but also a life-defining, cry-in-the-dark question facing many couples caught in crisis. When domestic violence is involved, when is enough, enough? Separation. Under what circumstances can a spouse or partner leave another? 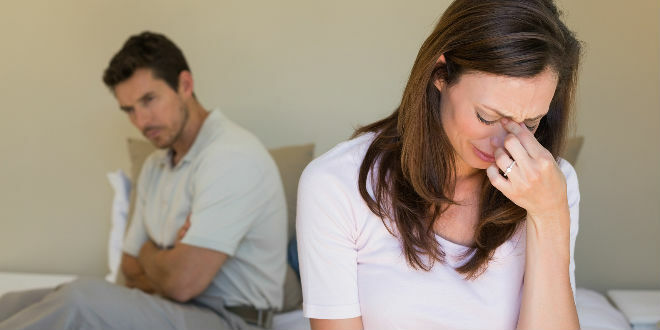 Many people, including Catholics, are forced to separate and eventually divorce due to abuse that takes place in the family. The abuse could be sexual, physical, emotional, psychological – or a toxic combination of all of these. Whoever goes into a marriage relationship with the express consent to being abused or having their children abused? For some, the guilt alone is too overwhelming and the reasons to stay might seem to outweigh the abuse. And for some women who leave, the abuse can continue in many ways – some subtle, some not too subtle. Counsellors will confirm that many spouses and children remain in abusive marriages because they believe the Church requires them to. And yet, the Church says in some situations separation is the only sensible and genuine option. Brisbane Archbishop Mark Coleridge offered this pastoral response on separation and domestic violence. “No woman should feel constrained to stay in what is a violent and abusive relationship,” Archbishop Coleridge said. “At times separation is the only real option – we all have experience with this. I certainly have in my own family. “The Church has a duty to say you should leave, and do something to help a woman leave and then to provide the sort of help she will need practically to leave. “Separation is a very tough decision and many women feel unable to make it. “They feel trapped, and they need a lot of help therefore to see that it is a real option and may be the only real option to leave the abusive relationship. He said this would be a destructive interpretation. “Even the devil quotes scripture,” he said. Archbishop Coleridge, recently launched Rewrite the Story: Let’s End Domestic and Family Violence – an educational campaign which is part of a concerted Queensland-wide push to eradicate Domestic Violence. A new website – www.rewritethestory.net.au – outlines the archdiocese’s efforts.